No comments? What's going on here??? After I watched the episode, I just had this thought that maybe Reid's girl isn't real, that she is in his head. I've been thinking about this for a while and the mystery woman confirms my suspicions, I believe. 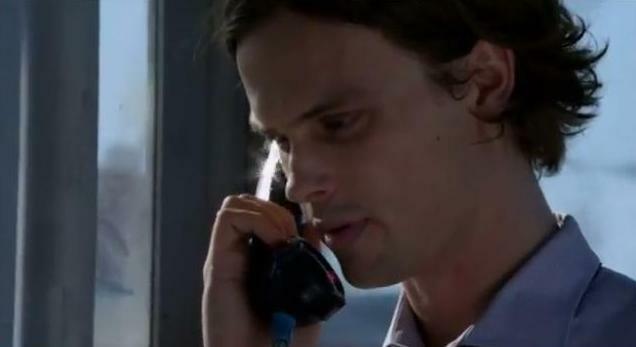 Reid is the son of a schizophrenic mother, and schizophrenia is often hereditary. He is also at the age range that schizophrenia usually occurs, and one of the symptoms is the unexplained headaches. As a cop, Reid would never befriend a mystery woman over the internet, a person who does not part with information and all. Additionally, if he wanted to call her, he would use a cell, not a pay phone. The scene is weird and the questions about a menacing "him" suggest paranoid schizophrenia that is just appearing. I think the show is going to show him going through the struggles of collapsing first, then recovering, and eventually managing his symptoms and living a productive if challenging life. This has been my favourite episode thus far. I thought of schizophrenia as well but not with Reid, with the girlfriend. Her fear and paranoia of 'him'.That room she is in, is it a very comfortable mental hospital, much like the one Diana lives in. I can't believe Spencer would get involved with a married woman or let a woman be held captive or be abused. There is definitely something very himky going on. Excellent episode, perfect for the Halloween season. Reid looked especially hot and I loved all his close ups. I'm intriqued by his relationship with this mysterious woman. Looking forward to next Wednesday episode. I was soo glad that they brought Reids headaches back and gave us a reason to why they havent been mentioned. Also with reids mysterious love interest, i get the feeling that maybe her father or maybe husband is in fact this season long unsub. I think aswell they shoulf have brought this season long unsub back again in the previous episode. As he had only a clip in episode one. I think they need to show more of him. I am also soo glad that Reid is getting more air time than he did when season 8 was coming to an end. I didnt enjoy season 8 that much, i think it lacked in alot of things. Cant wait for wednesdays halloween episode !!! I always think that the mystery girlfriend is somehow involved with the season-long unsub, though not by her own free will. I think her near blurt about "him" at the end is the second clue of the season. She's probably been blackmailed into it. I thought the episode was wonderful. I was particularly impresed with Matthew's performance but then I always am when they give him a chance to act. If you go to the CM Report site there is a very good Q&A with the writer that explains certain things without giving away too much. I will not put them here because I know some people may not want to know ahead of time. He also speaks about some major episodes coming up for other characters. Again, not spoilers, just things to look forward to. I liked the scene at the end with Reid and Morgan where Morgan says he feels like he and Reid had not talked much lately. That may be a bit of a shout out to fans who have wondered about this. Again, I really enjoyed this and look for to the continuation of the storyline. I wonder what this mystery woman's name is? She does not wear a wedding ring? What emergency would she think Reid was having? I've seen the actress who plays her, She's very good looking. She said, "I'm doing this for you" What does that mean? Looking forwarfd to more clues. I thought the episode was good but I was wondering was the unsub's ulitimate goal was to place someone else's leg on his wife's? why he was practicing on other people? Reid's new girlfriend has me wondering if maybe she is married why they can only talk on Sundays and he can't call her on any other day. The way she was helping Reid with the case I'm wondering if she's just as smart as he is or close enough. Then again she dresses very plain from what I could see of her and she doesn't get out much either. I read from comments above that she might be mentally sick as well and if that's true I don't think the relationship would be healthy for him at all. He needs to be with a regular girl not be with one he has to care for. The episode was OK, interesting story, and like in the episode The Pact oddly enough, left me feeling sorry for the unsub. 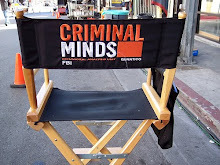 And Hotch, JJ, Reid, Morgan, Rossi and Garcia all worked their magic and made it good, i liked the Reid and Morgan plane scene, sweet. Reid and his mystery girl story intrigues me, and i hope it's a happy one for Reid, he needs a special someone in his life. I think that Reid's mystery "girlfriend" is the season-long unsub. There's no "he". She's using Reid's weakness to manipulate him. She's a genius too and she gets off on manipulating somebody as smart as she is. Plus, he was reading Sherlock Holmes. Maybe that's a clue. And also there's the title of the episode: God Complex. She seems to have it too. I think it is Hayley as well.. Listen to the voice, I think the "he" maybe Hotch, so he doesn't find out Hayley didn't die.. It would mess things up now that he is seeing someone else..
Oh, that's just ridiculous--I really hope you're all joking about the Haley conspiracy. We've seen her dead, she ain't comin' back, unless she's a zombie. Guys,let us not forget that it's Criminal Minds we're talking about.Not Vampire Diaries. I have no idea who the year long unsub could be, but i think Will LaMontagne would make a good unsub, even Alex Blake would be a better unsub than a profiler. No offence intended to the fans of these two characters, it's just my personal opinion. CM still my favourite show. well i guess imagination can be stretched a bit longer,but I'd rather not see any familiar beloved character become the UnSub. That'd be very sad.As far as the episode goes,it was by far the best of Season 8 and one of the best of Criminal Minds.